Beautiful, little-known local destinations that deserve a spot on your must-visit list! 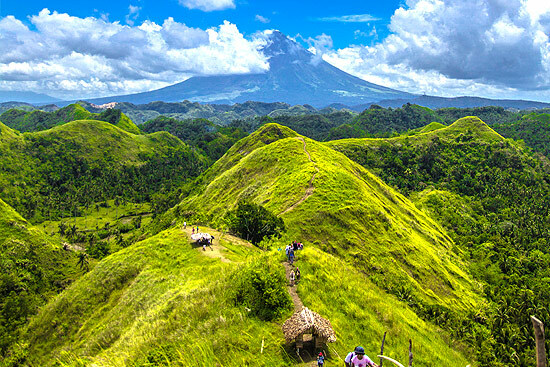 (SPOT.ph) Philippine travel books usually feature only popular destinations like the Mayon Volcano in Albay, Magellan's Cross in Cebu, and Chocolate Hills in Bohol. There's nothing wrong with these tourist spots, but sometimes, we forget that our country has a lot more to offer. In fact, it is highly possible that one lifetime is not enough to visit all the stunning places that are right here in the Philippines. 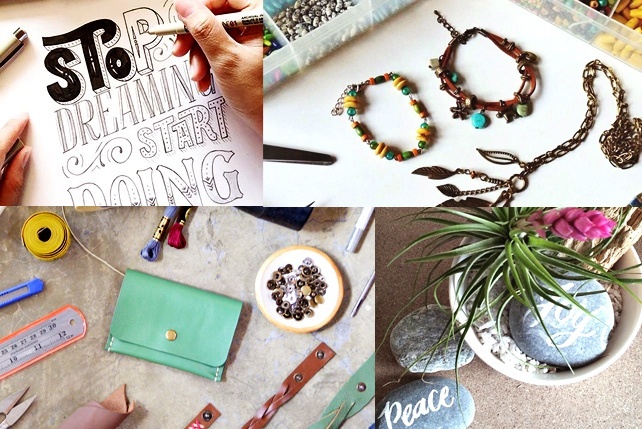 We round up off-the-beaten destinations to bring out the adventurer in you. Catanduanes, dubbed as the "Land of the Howling Wind," is often avoided by travelers because of the frequent typhoons that hit the province. Those who are brave enough to cross the sea that separates it from the rest of the Bicol Region discover why it's deserving of its other moniker, "Happy Island." 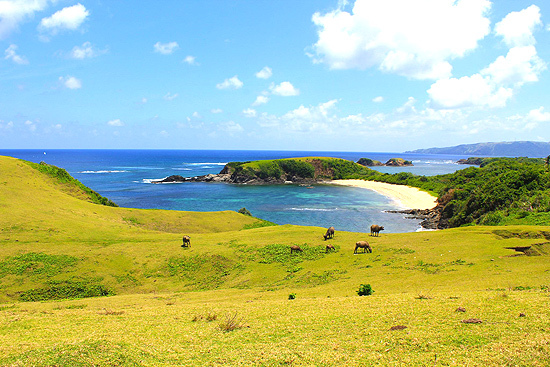 Aside from the white sand beaches, hidden coves, sublime falls, and majestic waves, Catanduanes also has a Batanes-like grassland on its northernmost municipality, Pandan, called the Cagnipa Rolling Hills. You might just be tempted to sing ala-Sound of Music while overlooking the Pacific Ocean. How to get there: Cebu Pacific flies from Manila to Virac regularly. As an alternative, you can ride a bus from Manila to Tabaco, Albay, then hop on a ferry from Tabaco seaport to Virac seaport. Jeepneys and buses ply the route between Virac and the island's various municipalities like Pandan. 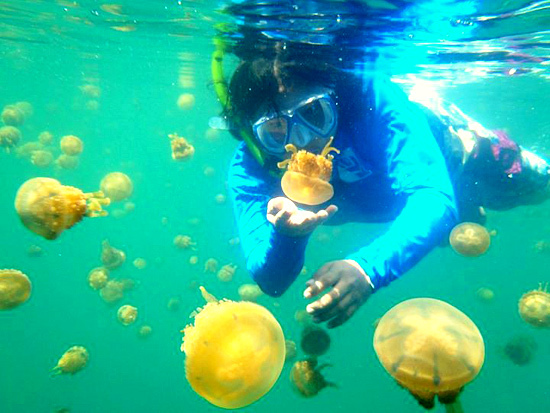 Kalanggaman gained international exposure in 2013 when German luxury cruise ship MS Europa, with its 400 passengers, made a stop on the island. Because of the sudden surge of tourists, the local government only allows 90 visitors per day and collects a conservation fee (priced at P150 for non-Palompon residents) for the upkeep of the white sand beach. How to get there: There are regular flights from Manila to Tacloban City in Leyte. Ride a van from Tacloban to Palompon, then take a pump boat to Kalanggaman Island. La Union (or eLyU, as surfers and locals fondly call it) is known as the "Surfing Capital of the North" because of the glassy waves in San Juan, but the province is more than a surfing town. It has the historic Pindangan Ruins as well as the grand Ma-Cho Temple. 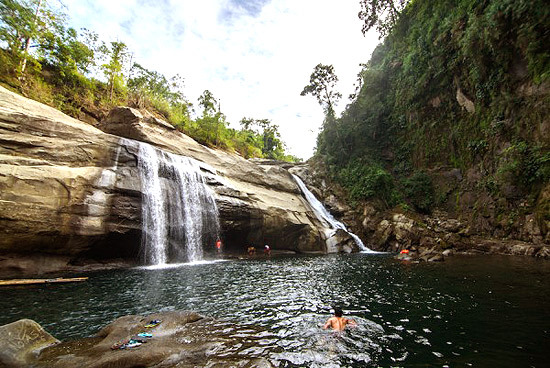 One of the recently "discovered" sites is Tangadan Falls, which looks like a sheet of water draped on smooth limestone rocks. 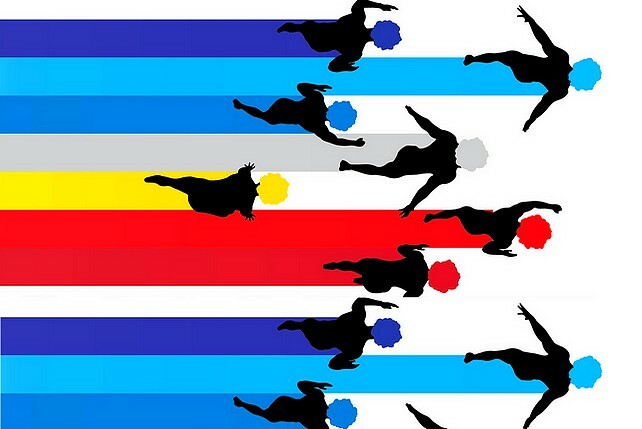 How to get there: From Manila, ride a bus to San Fernando or San Juan, La Union. Hail a San Gabriel-bound jeepney from either of these places. From downtown San Gabriel, ride a tricycle and ask to be dropped off at Barangay Dagup where you can trek to Tangadan Falls. 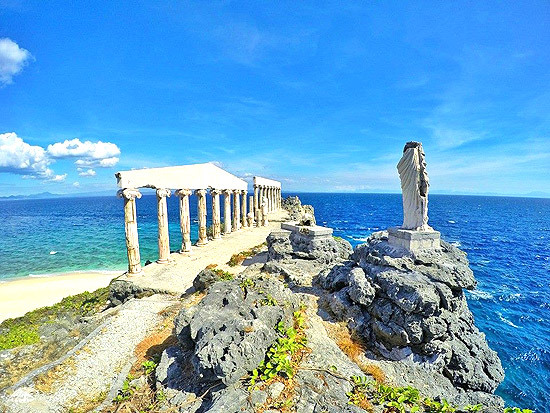 The "Islands of Giants" is a remote group of islands located off the coast of Carles and Estancia in northeastern Iloilo. Its main features, which take half a day to visit, include the Cabugao Gamay Island, Tangke, Antonia Beach, Bantigue Island, and Pawikan Cave. Most resorts can be found in Gigantes Norte. How to get there: Flights are available from Manila to Iloilo City. 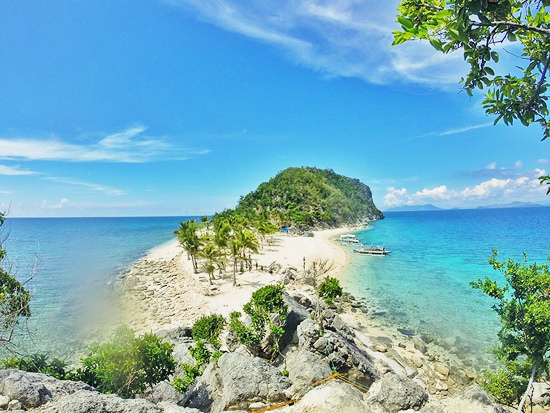 Ride a bus or van from Iloilo to Estancia, then a pumpboat to Gigantes Norte. Siquijor in Central Visayas is a place shrouded in mystery. It is also famous for its pristine beaches, crystal-clear lakes, and mystical waterfalls. 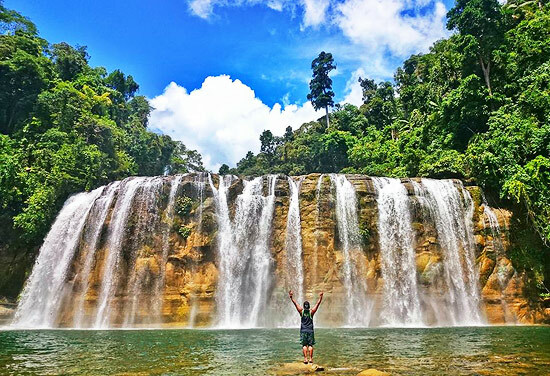 One of its popular wonders is Cambugahay Falls, which is a multi-layered cascading waterfall that originates from natural springs and flows into the Lazi Bay. 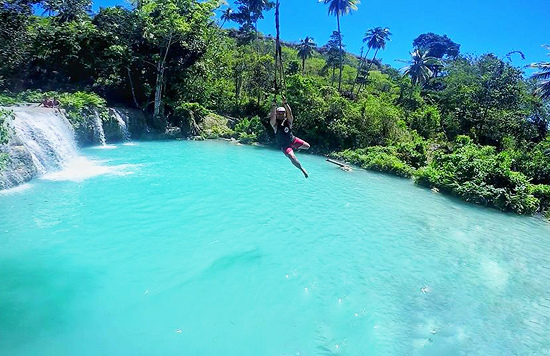 Visitors can also swing from the balete tree ala-Tarzan and jump into the clean lagoon. How to get there: From Manila, take any Dumaguete-bound flight. From there, take a ferry to Siquijor, then take a jeep going to Lazi. Hire a habal-habal (motorcycle) to Cambugahay. 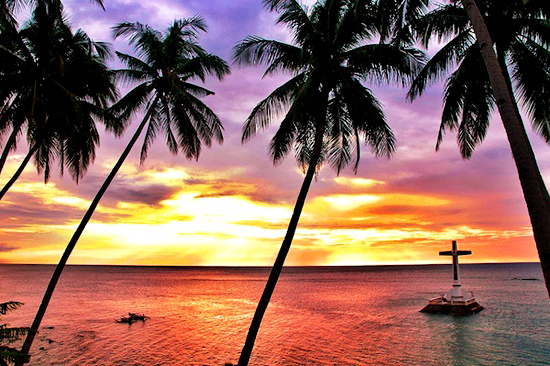 Camiguin is an island formed by a series of volcanic eruptions. It's no wonder that most of the sites in this Mindanaoan province was either driven under the sea or broken down into rubbles. When Mt. Vulcan Daan erupted in 1871, the town cemetery was buried and only a huge cross that serves as its marker remained. Visitors can go to the unsubmerged spot and even go up the ominous structure to enjoy the panoramic view of Mount Hibok-Hibok. You can also snorkel to take a closer look at the submerged graveyard. How to get there: Camiguin has three entry points: Cebu City, Cagayan de Oro, or Bohol. You can ride a ferry from Pier 8 in Cebu City; a ferry from Balingoan Port or a fast craft from Macabalan Port, both in Cagayan de Oro; or a ferry or a fast craft from Jagna in Bohol. Quitinday is one of Camalig's 50 barangays. It's where you can find a terrain reminiscent of the famous Chocolate Hills in Bohol. Quitinday's big plus is that it has the perfect Mayon Volcano for a backdrop. The area was opened to the public in 2014 as part of the province's tourism campaign. How to get there: Regular flights are available from Manila to Legazpi City, Albay. From downtown Legazpi, ride a jeep or tricycle going to the terminal. Ride a van going to Camalig and ask to be dropped off at the intersection going to Quitinday Green Hills. 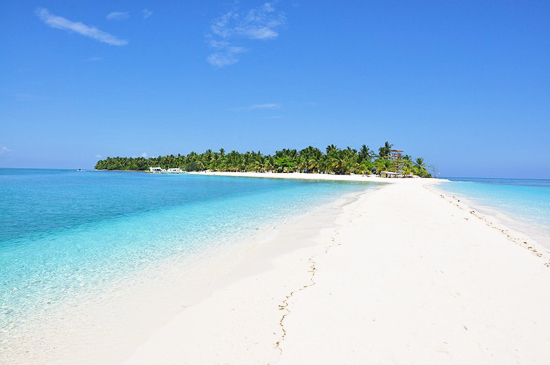 Surigao del Norte has become popular mainly because of Siargao Island, the "Surfing Capital of the Philippines." Its neighbor, Bucas Grande, is starting to have a name of its own because of its rare natural wonders. One of these is the jade-colored Tojoman Lagoon, home of the spotted stingless jellyfish (Mastigas papuas). 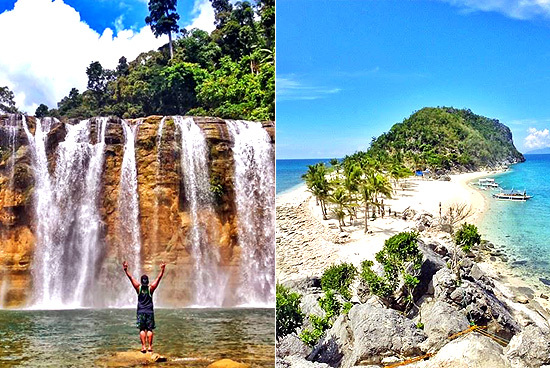 How to get there: From Manila, fly to Surigao. Travel by land to Hayanggabon Port via Claver from the Surigao Integrated Bus Terminal. Charter a boat to Sohoton from Hayanggabon. Fortune Island used to be a resort club owned by the Levistes in the '90s. What remains today is an abandoned structure that would remind you of the Acropolis in Athens, a fitting spot for taking pictures. The rock formations also provide good take-off points for cliff diving. There are no accommodations on the island but tour operators provide tents and other camping essentials. How to get there: Take a bus to Nasugbu, Batangas. Ride a tricycle to Barangay Wawa and ride a boat to Fortune Island. 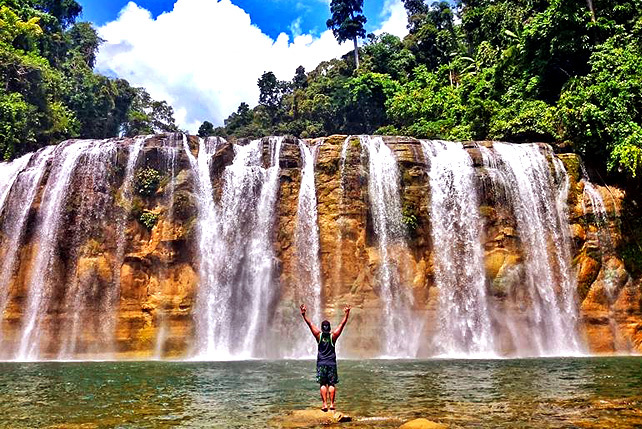 The three-tiered Tinuy-an Falls can be a likened to a 95-meter wide white lace curtain that drapes from a rod of lush vegetation and tall trees. Locals say that a rainbow frequently appears between 9 a.m. and 11 a.m. through the mist. How to get there: Fly from Manila to Butuan, Agusan del Norte. From there, you can take a van or bus to Mangagoy, Bislig. Hire a habal-habal to Tinuy-an Falls.